Our state-of-the-art dental office offers the latest in dental technology and procedures, in a caring and comfortable environment. When searching Fort Myers dentists, why choose the Dental Office of D. Scott Trettenero, DDS? Let our patients tell you why Dr. Trettenero, is their Fort Myers dentist of choice. Demand Force, an independent third party, has received over 900 certified reviews about this dental office. 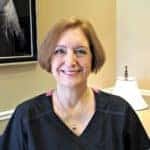 Now in Fort Myers, CEREC dental restorations is a complete restorative system that allows Dr. Trettenero to create beautiful and durable all ceramic restorations in just one dentist visit. The 3-D image produced by this technology is incredibly helpful in uncovering hidden infections or pathology that conventional x-rays would miss. A Modern Approach to Teeth Straightening – InvisalignUsing a series of custom-made aligners created for you and only you. At the Dental Office of Scott Trettenero, DDS dental restorations can be done in one appointment with the same precision as laboratory crowns! If you live in Fort Myers and your dentist diagnosed you with gum disease, you have a new option in treatment. Fort Myers teeth whitening can land you a winning smile! Self-confidence and teeth whitening go hand-in-hand. The goal is to help each of our dental patients to experience the confidence and success in life that can result from having a beautiful smile. 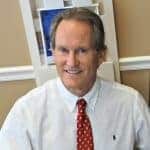 Fort Myers Dentist Scott Trettenero is a long time member of the American Dental Association, Florida Dental Association, West Coast Dental Association, and a charter member of the prestigious Florida Prosthetic Study Club since 1985. There are many Fort Myers dentists but few with such a prestigious list of credentials. 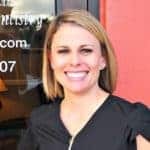 Dr. Trettenero’s unique blend of people skills, technological expertise, personal integrity, and state of the art Fort Myers Dentistry office are key elements that sets us apart from other Fort Myers dentists. Unlike most other dentists, D. Scott Trettenero boasts over 35 years operating one of the top dental practice in Ft Myers Florida. Doctor Trettenero has created an environment that gives his patients a calm assurance knowing their dentistry will be done with the highest quality care and professionalism. Dr Trettenero is the best of the best. His dental office is clean and comfortable, and the staff is fantastic. 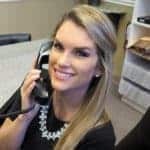 When you combine his calming and gentle technique with the latest and greatest technology you will quickly realize Dr T is absolutely the best. Moved 120 miles out of the Fort Myers area over 3 years ago but still utilize the dental services of Dr Trettenero and his staff. why? he is the best and you only have one set of teeth. He and his staff will always fit you in if there’s an emergency. TEN plus in my book. Dental care was wonderful.Completely pain free. I would highly recommend Him.